That Little Brewery is located in Ferntree Gully. 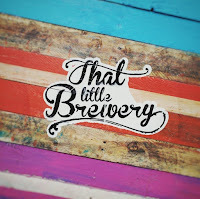 It's a brewery that Dylan & I have had on our radar pretty much since they opened, given they were producing lots of sours in an area awash with nothing but macro lager, but have never quite been able to find the time to get out there; until recently! That Little Brewery is another family affair. 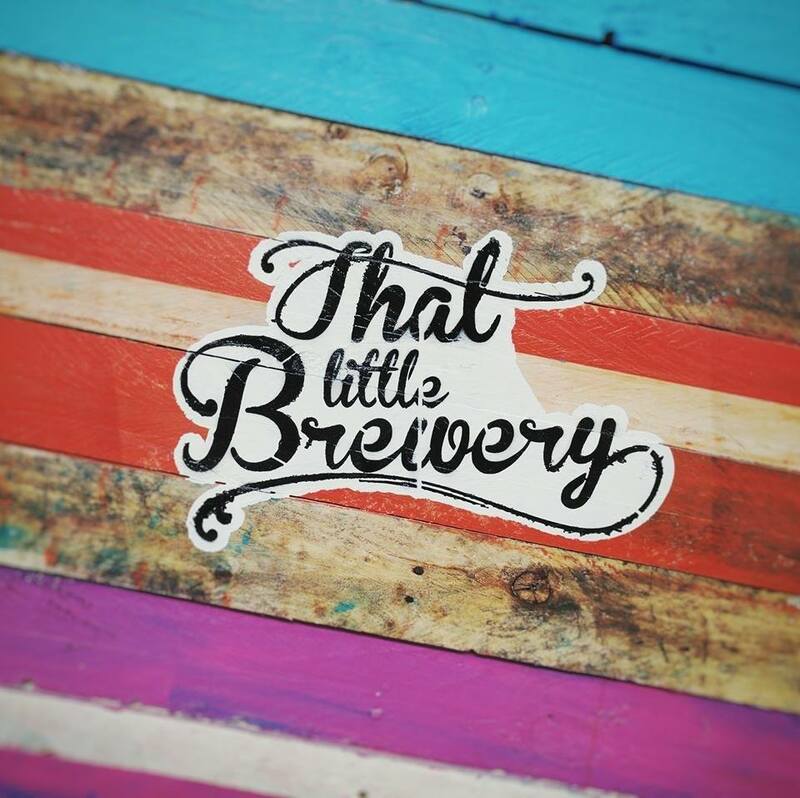 The brewery is run by brothers Ben & Callan Pratt along with their cousin Andrew Jamieson. 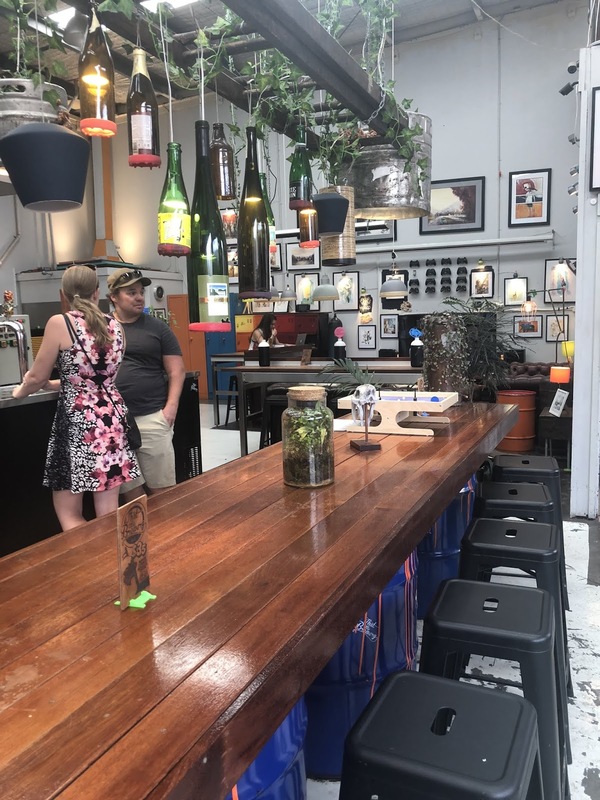 It's based in a relatively small warehouse in an industrial estate in what seems like a residential part of Ferntree Gully. It's a bit different to most breweries you walk into. Firstly, you enter through their office space. Once you move through the office you are confronted with a metal portable bare in front of the tanks and brewing kit. There's a lot of stainless around, although most of it is quite small. The brewery is colourful. The furniture is rustic and mismatched. The chandelier is made up of old bottles with the bottoms cut off. There's bits & pieces, posters, branded oil drums (in fact lots of things have logos on them) everywhere you look! There are also heaps of games dotted around - as well as an area, which could easily be someones living room, where you can play video games. It's a really cool space. Whilst they offer no food themselves, That Little Brewery arranges for food trucks to visit the brewery most weekends, the day we visited it was American BBQ which looked really good as it was delivered to those around us (we'd just eaten so didn't partake). They also make their own syrups for Berliner Weisses, which were quite good, they would be one of very few in Australia doing that. The tap list was genuinely interesting - with a mix of beers that you generally wouldn't find, even at craft beer bars. There was no Pale Ale, no lager; in their place was a Session IPA & a Sour Pale Ale. Interestingly, you could only buy tasting glasses, which were large, or growlers on site. I wonder if there is some liquor licensing issue at play (I'll try and confirm if I get an email back! ), which could also be leading to the eschewing of traditional quaffing styles. The beer I'm going to review is the 6 month old Raspberry Lambic. I don't particularly like the use of the word lambic in this beer, but I understand why they've used it. The beer was tart with tiny bubbles rising in the beer, It's hard to describe, but the beer wasn't quite spritzy because the bubbles were as small as they were. It was definitely light and tingly on the tongue. The flavour was predominantly raspberry, with good fruit translating. The colour, as you can see above, was spot on. It's a really interesting beer, I'm looking forward to seeing it with some more age on it. We had a little hitch with the last podcast, it may have been recorded after the Good Beer Week Gala Showcase... So the next episode will be a little delayed! Speaking of which, I hope everyone has got their tickets for GBW sorted as events are beginning to sell out. The Year of Local is running a little behind schedule, probably as expected. Only 12 posts are up (out of 170+). I did at least get more posts up in March than new breweries were added to the list, unlike in February... A Local Beer, Future Mountain & Nagambie Brewery & Distillery have all been added to the list. 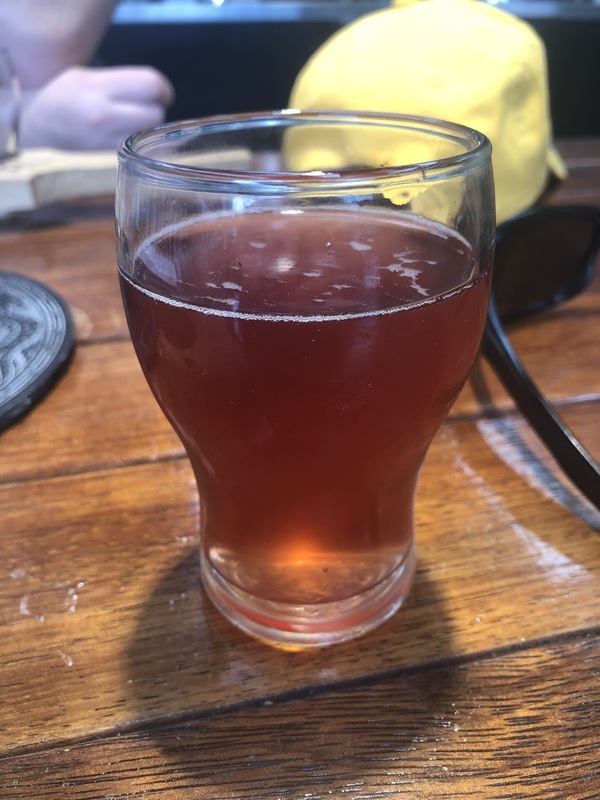 Thankfully April is looking a little quieter for me & I'm hoping to bust out a heap of reviews - having visited lots of breweries in March & drank lots of Victorian beers. With any luck we'll be at 30 posts come the end of the month and closer to back on track. I took a quick break from Victorian beers and went to the Other Half / Cloudwater tap takeover at Mr West on the weekend just gone. Simply wow! What an event! There was a who's who of Melbourne craft beer in attendance. The guys at Mr West put on a great day and coped well with the massive crowds. If you get the opportunity to try the beers from these guys you'll see that our scene still has a little way to go. If I've missed anything that you wanted to know or if you just want to send me beer related questions/content, please do at gus.norris7@gmail.com and I will endeavour to get back to you as soon as I can. Cheers guys! 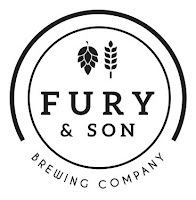 Fury & Son first started producing beer commercially in the middle of 2016. At the time, the name sounded like a corporate trying to surreptitiously fit into the hipster/craft beer market. 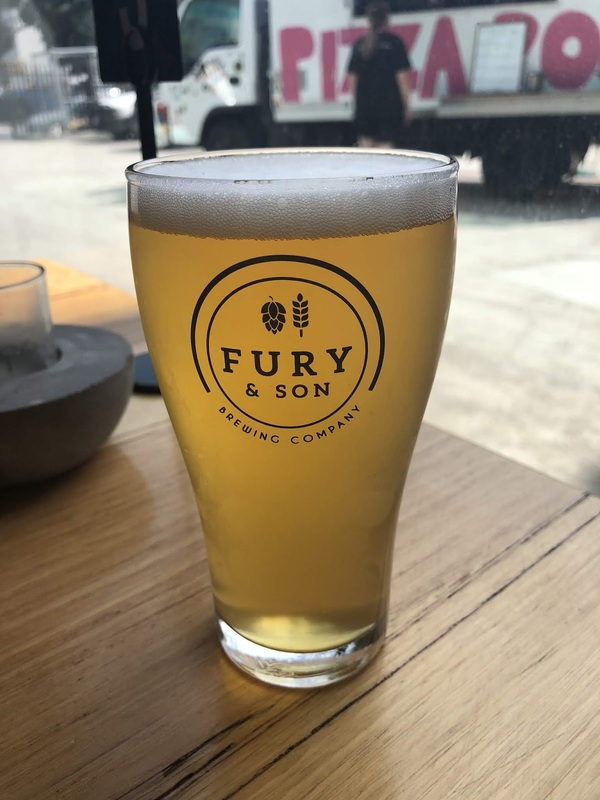 First impressions are often wrong and they certainly were in the case of Fury & Son, which is about as authentic as any craft brewery out there. 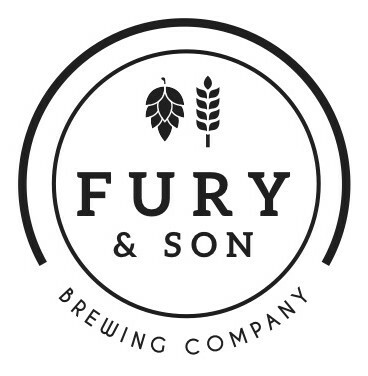 The brewery was started by Reno "Fury"Georgiou & his son Andrew. The pair had been home brewing together on & off for 15 years before taking the plunge into the commercial realm. 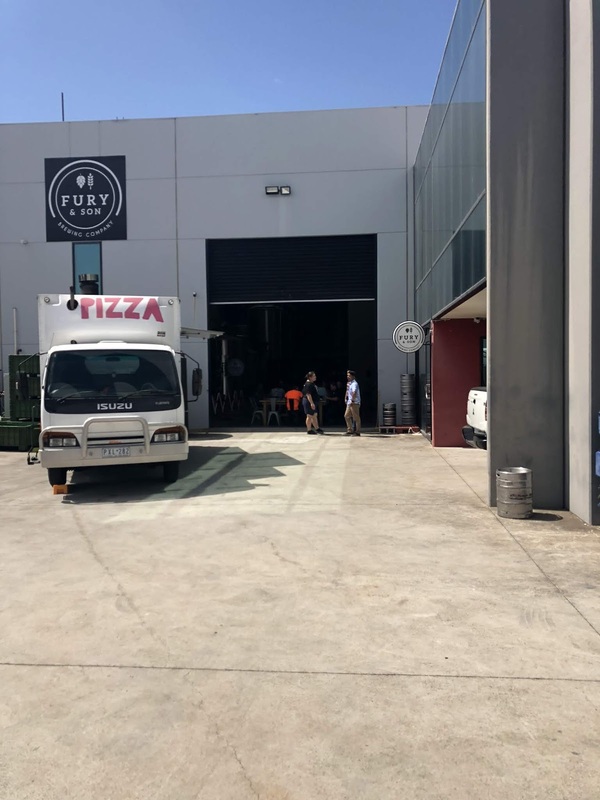 They found a warehouse near Reno's other business, Renma Windows, in an industrial estate in Keilor Park and began installing a 25 hectolitre brewhouse. Initially they launched with a core range of two beers, a Pilsner & a Pale Ale & no hospitality component. Fast forward almost 3 years and the brewery produces a number of seasonals, ranging from sours, to Scotch Ales to Imperial Stouts. In late 2017 the brewery began opening to the public on Friday afternoons. A brewery that only opens on Friday afternoons in Keilor Park. It didn't sound like the easiest of brewery's for me to visit. As luck would have it I was out at the airport for work a few Friday's back and was able to drop past, albeit only for one beer. Arriving at 12:10pm on a Friday afternoon, 10 minutes after opening, I was expecting it to be pretty quiet; I was wrong! The brewery was packed! So packed it was tough to get a seat! You may get the impression that this is a small operation; it's not. There's seating for approximately 100 people and it was all full. There was a range of people there too, from high vis wearing factory workers to guys in suits. It's quite clear that Fury & Son have done well to engage their local community. Accordingly, due to the packed nature of the tasting room, the vibe was great. It seemed like a lot of these people had knocked off for the day and that this was where they were starting their weekend. The brewery get food trucks in to do food, on the day I visited there was a pizza truck doing a roaring trade! The tasting room is on the brewery floor, amongst the tanks, which incidentally are some of the larger ones I've seen at an Australian craft brewery. 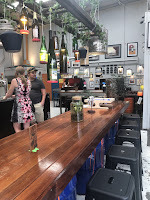 There are a mix of long communal tables with a couple of smaller tables in an adjacent space in front of the bar, which is just off to the right hand side as you walk in. Even though I don't collect glassware anymore, I still appreciate a brewery that serves their beer in branded glassware. As I was driving & still working on the day I visited I went with the Pilsner. It's actually the first beer I had from Fury & Son back in late-2016, so I was interested to see if much had changed in the ensuing 2 and a half years. I'm pleased to report that it's still a nice refreshing Pilsner, brewed to style. The malts are light, the hops are grassy & bitter (I'd be shocked if they weren't Noble Hops) and the beer is crisp and refreshing. There was a slight metallic/sulphuric taste that I couldn't quite place, but it was light and didn't drastically impact my enjoyment of the beer - after 2 I don't think you'd even notice it. It's a really enjoyable Pilsner and one that I would suggest if you're looking for a traditional Australian brewed Pilsner.